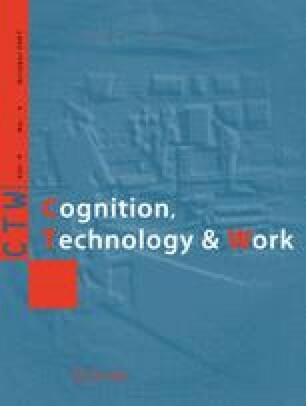 The theme of large temporal span of cognition is emerging as a key issue in cognitive anthropology and ergonomics. We will consider it through the analysis of a musical composition process, that of Voi(rex) by Philippe Leroux, in which sketches and score writing are articulated through the use of different kinds of computer software. After presenting the data collecting method, we will consider the analysis of the resulting data concerning the writing of two movements of Voi(rex). Such an analysis will allow us: (1) to draw methodological conclusions about the time and mode of inquiry; (2) to specify the notion of situated cognition in situations essentially pre-established by the actor; (3) to set out two families of theoretical results relating to large temporal span cognitive phenomena: the first concerns the notion of an idea and its role in the development of the creative process; the second deals with the notion of the appropriation of tools and the making of situated individual cognition. This article develops a communication presented at the EACE 2005 Conference: Donin and Theureau (2005). This article was translated by Jonathan Goldman. The authors would like to thank Thomas Bottini for having re-read this paper, Jonathan Goldman for having translated it, and Samuel Goldszmidt for his longstanding collaboration on the Philippe Leroux project.